This session will be a special one. 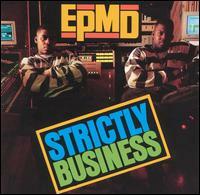 Not only will this be covering EPMD's debut, "Strictly Business", but a key emphasis will be placed on the production. 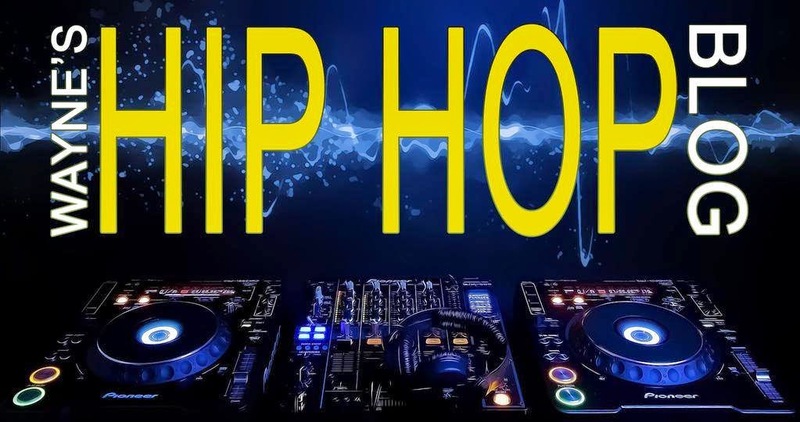 This is NOT a slight to Erick Sermon and Parrish Smith on the mic. With Erick bringing a rugged yet smooth style and Parrish having a no nonsense demeanor, but still nice with it, they could hold their own when it came to rhymes. Erick and Parrish deserve a lot of credit for the way they sampled a lot of classics on this album, basically changing how samples were utilized. So if you don't mind, as you read along, try to listen to each song to get the full effect of this session! I'm already excited for this one, so let's get to it!!!! This unmistakable opener makes GOOD use of Eric Clapton's "I Shot The Sheriff". Erick and Parrish definitely come with a business like tone here, but of course in a hip hop way. Aretha Franklin's "Rocksteady" is worked nicely for Erick and Parrish to show their dominance of any and all naysayers. Let's see, we have a nicely mixed Beastie Boys sample courtesy of "Slow & Low", the Otis Redding sampled intro prior to the beat drop, thanks to a JB's sample. They had to let the funk flow on this one, and what resulted was a dope song. What an appropriately titled CLASSIC this is. While Erick and Parrish did their thing lyrically, I feel this song is more notable due to the fact that EPMD were the first hip hop artists to successfully sample a Roger & Zapp song, in this case the classic "More Bounce To The Ounce". They also merged Kool & The Gang's "Jungle Boogie". Timeless. Tyrone Thomas and the Whole Darn Family's "Seven Minutes of Funk" is shaped into a classic banger (not that it wasn't before, but you get my point, lol) for "It's My Thing", and God bless the late Marva Whitney, as her shouting "it's my thing" on her song by the same name was the perfect soundbyte here, as well as bytes from Mountain's "Long Red". Great stuff. This is another apply titled classic right here. That "1-2 punch" in the beat and the re-working of ZZ Top's "Cheap Sunglasses" is unforgettable. Yep, even in 88 there were "dance songs", with their creative titles too. I like what they were aiming for here, but the seriousness and business minded EPMD coming with a song like this, kinda makes me chuckle a bit after all these years, lol. I really like the idea behind this one and it definitely has been applicable to hip hop over the last few years, don't start rapping because everyone else seems to be doing it. Everyone is not cut out to be an MC, hence the title "get off the bandwagon". The aforementioned DJ shows off his turntable skills on this one. We close this incredible album with the somewhat brief encounters that Erick and Parrish had with one Ms. Jane. She'll be back too, lol! This album has aged well, and that certainly goes without saying. As mentioned, Erick and Parrish do a very good job on the mic, however, this album is an extreme, textbook example on HOW to sample and do it effectively. It deserved the success (going Gold within 4 months after it came out) and the praise it receives to this day. Job well done.